Dave Allen insists there is “zero chance” of Lucas Browne defeating him by knockout when they collide at the top of a huge Heavyweight bill at The O2 in London this Saturday, live on Sky Sports in the UK and DAZN in the US. 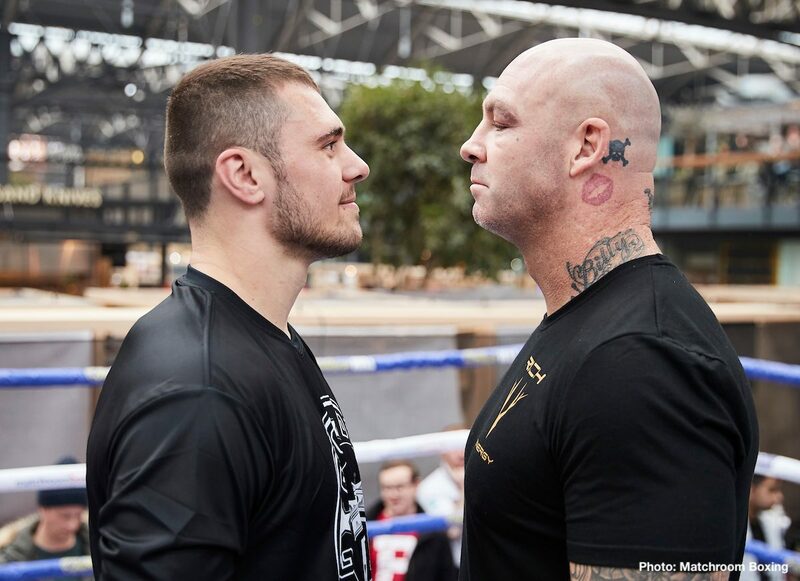 Former WBA World ruler Browne has amassed 24 stoppages from 28 career wins and the hard-hitting Australian known as ‘Big Daddy’ says he is looking forward to a “good old fashioned slugfest” when he meets cult hero Allen over 12 rounds in the Capital. Allen is renowned for his durability having only been stopped twice in 22 fights – a seventh round TKO loss to World title challenger Luis Ortiz and a controversial tenth round stoppage loss Olympic gold medallist Tony Yoka – and the ‘White Rhino’ says he has no concerns over trading leather with Browne. “The last thing I worry about when I box is the power,” said Allen. “That’s not because I can take a good shot, even though I can. “People say ‘you haven’t got a good defence’, I’ve got a great defence, I see every shot coming. Even the ones I take clean in the face, I know they’re coming. You’re not going to knock me out. Allen heads into the biggest fight of his career in the form of his life following three KO wins over Nick Webb, Samir Nebo and Ariel Esteban Bracamonte, and the popular 27-year-old Yorkshireman is aiming to make it three KO wins from three fights at the Greenwich venue. “Even though there’s no animosity in the build-up, I want to punch him all over The O2. I’ve trained harder than ever for this fight and you’ll all see the difference come fight night. I’m going to knock him out.